At Portree Primary School, we are very lucky to have been provided with Chromebooks! Everyone in P6 and P7 has their own device, and P1-5 have got 4 in each class. This is part of the Highland Council’s commitment to ensure that pupils have appropriate access to technology for their learning. 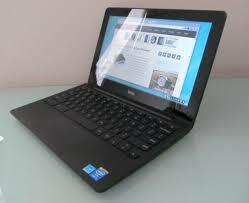 The devices we have been provided with are called Chromebooks, they are small, robust touchscreen laptop style devices. They have school level filtered internet access and can be used for creating documents, working on joint projects and browsing. They are only for use in school at this stage, but in the future we will consider, in partnership with you, if they may be allowed home for use for their learning. We have access to computers, laptops and tablets for all our pupils in Lundavra Primary but these are shared across all year groups. This opportunity has provided devices specifically for each of the P6-7 pupils to support their learning. At our recent Parents Open Morning, our P7 Digital Leaders explained the ICT changes to Parents. You can see their Presentation Here. There are certain rules that must be followed when working with Chromebooks to ensure the safety of the children and the safety of the devices. Know where your Chromebook is at all times. Not to have food or drink near it. We will be undertaking a programme of work, looking into the importance of being secure, respectful, safe, responsible and legal. 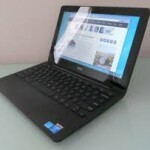 Before Children are allowed free use of a Chromebook, they must read, understand and sign the pupil agreement.